Flowering Season: Summer (late), Fall (early). 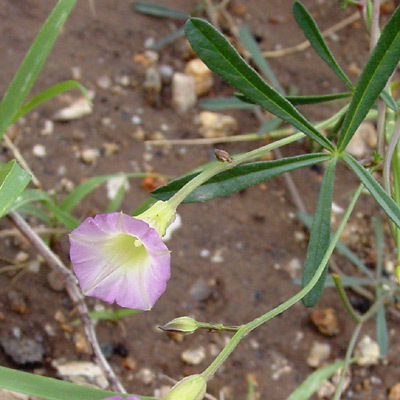 This wildflower blooms after the summer monsoon rains. Description: The funnel-shaped flowers have an up to 1/2 inch (1.3 cm) long corolla, a long stalk, and hairless, broad, often crested or warty, light green sepals. The leaves are palmately dissected with 5 narrow segments, giving them the shape of a 5-pointed star. 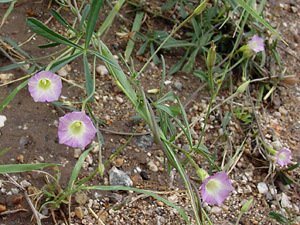 The stems are slender, green, trailing, and twining at the tips.